Blending history with current events, the one-hour documentary traces hemp's legendary past in U.S. agriculture and chronicles the heated debate to return the crop to American farmers. The World Premiere of Hemp and the Rule of Law is at the Asheville Film Festival on Thursday, November 4, 2004 at the Asheville Community Theatre, 10:30 p.m. in Asheville, North Carolina. Hemp is a crop with a rich history in U.S. agriculture. In the last decade of the twentieth century, consumer demand for hemp products resulted in the crop's resurgence on farms throughout the western world. Thirty-one countries, including Canada, England, and the European Union now grow hemp. Although it has no psychoactive potential, hemp shares the same plant family as marijuana. The U.S. Drug Enforcement Administration makes no distinction between hemp and marijuana, and a decade after hemp's worldwide revival farmers in the United States are still not permitted to grow it. Hemp and the Rule of Law traces hemp's legendary past in U.S. agriculture and chronicles the heated debate to return the crop to American farms. Filmed in North Carolina. Hemp and the Rule of Law is now available on DVD for purchase. Go to the "BUY DVD" link at Tin Roof Video to purchase your DVD. I have ordered my copy and I can't wait to see it! In the Dauphin region of Manitoba, the days are growing shorter and colder, and snow will soon be on the ground, where it will linger until March. Across the horizon, prairies teem with combines plodding through the fields for the annual hemp harvest. 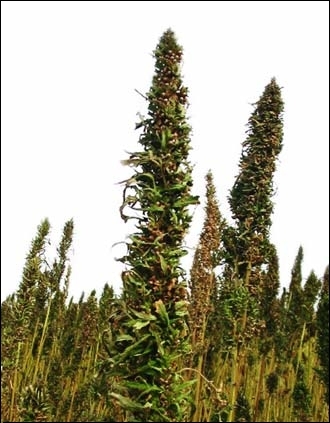 Since early June, when Canadian farmers could be relatively certain that the last frost had passed, hemp plants have grown from seedlings poking through the province's black soil to statuesque stalks, with serrated leaves that give way to ripe flowers full of seeds. Farmers export the seeds and plant fibers to the United States, where manufacturers use it to make goods such as flour, bread, cheese, butter, birdseed, clothing, and personal care products. High in protein and Omega-3 fatty acids, hemp foodstuffs appeal to those looking for an alternative to fish, which can contain mercury. The Hemp Industries Association estimates annual sales of U.S. hemp food products is $40 million. Despite hemp's nutritional benefits, you will not find lush fields of the plant in the U.S. because, since 1958, it has been illegal to grow the "industrial" variety here. Hemp is related to marijuana, but is non-psychoactive and its flowers contain only trace amounts of THC. Although you'd puke before eating enough hemp bread to get stoned, had a proposed rule by the Drug Enforcement Administration become law, you could have been charged with possession of a Schedule I controlled substance for keeping a loaf in the fridge. In a 2003 rule change, the DEA tried to criminalize the importation of hemp foods for human consumption (but not birdseed and animal food), claiming they contained THC and thus fell under the provisions of the Controlled Substances Act, which Congress passed in the heady days of 1970. The Hemp Industries Association, a lobbying group, immediately sued the DEA and also filed a challenge under the North American Free Trade Agreement, of which Canada is a partner. While this move triggered mandatory meetings with the State Department, David Bronner, chairman of the HIA's Food and Oil Committee says, "Under NAFTA rules, you can't change policy. The only avenue was a domestic court." Enter the Ninth Circuit Court of Appeals, which unanimously ruled that the DEA could not ban nutritious hemp foods and that the Controlled Substances Act specifically exempted "industrial" hemp products, much like it exempted poppy seeds from the list of prohibited opiates. The Bush Administration failed to appeal the decision by the September 27 deadline, and the court's ruling held. To celebrate the Ninth Circuit's decision, we broke out the hemp bread ($4.99 a loaf at Whole Foods) and opted for peanut butter and banana as a topping, since hemp cheese should be consumed only with the same caveats as soy cheese [see "Pfut!" July 15-21, 2004]; in other words, bleck. Earthy, crunchy, and dense, the dark bread (which also contains spelt, kamut, and other exotic grains) serves as a good gateway to other hemp foods: the raw seeds taste like their sunflower counterparts and can be roasted; the flour can be used in waffles and nut breads. Ironically, the Puritans first brought hemp to America in 1645, and the crop flourished in the South and Midwest until the development of the cotton gin and popularity of jute and abaca displaced it. In World War II, imports of abaca and jute were unavailable and hemp briefly came back in vogue. Unlike cotton, hemp requires few pesticides or herbicides, and is often grown organically. Its leaves resemble that of the pot plant, which can confuse law enforcement agents surveilling fields from helicopters. "People think you can grow pot in a hemp field," says Bronner. "Hemp grows densely and tall and looks very different from marijuana, which is low and busy. No one would grow a drug crop in a non-drug crop. It would cross-pollinate and ruin its potency." Bronner sees the court's ruling as a step towards eventual legalization of hemp farming in the U.S. Fourteen states have passed legislation to research hemp agriculture, albeit under extremely controlled circumstances and with federal permits. In 1999, Hawaii received $200,000 from a hair-care company to plant test plots of hemp, although the federal government required the fields to be enclosed in 12-foot-high fence with infrared surveillance. On the federal level, votehemp.com rated presidential candidates on their stances on U.S. hemp cultivation: Bush received an F for the DEA's proposed rule; Kerry received a failing grade because he did not follow up on a promise to complete the hemp survey. Independent Ralph Nader, Green David Cobb, and Libertarian Michael Badnarik received A-pluses for supporting the legalization of industrial hemp. Vice-presidential candidate John Edwards, who hails from a major tobacco-producing state, North Carolina, received a B-minus for agreeing to allow research without federal permits but remaining undecided on whether to allow farmers to grow it. Bronner says some members of Congress are sympathetic to the hemp cause, although none will go on the record in favor of hemp during an election year. The HIA is also working with Midwestern farmers to rally support. Still, hemp's opponents contend legalizing hemp farming would, as Bronner describes, "send the wrong message to children." "Generally you have opposition from the cultural warriors, the religious, zealot right. You can't have the message come out that there are some pretty amazing applications for hemp." Toronto, ON, Canada - Oct 11, 2004 - Ruth's Hemp Foods launches three new healthy protein power blends at Expo East, the giant health food show Oct. 15-17 in Washington DC. Ruth's is poised for success in the US following the final successful battle with DEA. Last February, the Ninth Circuit court issued a unanimous ruling in favor of the hemp industry against DEA, which attempted to make ingestion of these nutritious products illegal. On September 28, the DEA announced that they would not appeal. The hemp seed is an excellent source of both protein and Omega fatty acids. Based on high quality hemp protein, Ruth's Protein Power blends certified organic ingredients to add valuable nutrients to smoothies and baked goods. Ruth's Protein Power blends use no chemicals in their production, unlike most soy- or whey- protein powders. Ruth's Hemp Foods is known as the foremost innovator in hemp foods. Ruth sees the new protein blends as starting where others leave off. "There are other hemp proteins on the market," she explained, "but most have either lower protein or are not certified organic. And we have gone a step further by adding other amazing nutrients to increase the benefits of our Hemp Power blends to a wider number of people." In addition to the hemp protein, these protein blends contain sprouted dehydrated flax and maca, a Peruvian root vegetable. Known as the Incan Superfood, it has been eaten by Peruvians for centuries to increase energy and treat hormonal imbalance including menopause and sexual dysfunction. Ruth's top of the line blend, containing Hemp, Sprouted Flax and Maca, is currently being trialled by a Paul Osland, who represented Canada in Track and Field at the 1988 Olympics. Paul started to take Ruth's Protein Power blend daily in early September. Near the end of September, he participated in a 1/2 marathon where he finished three minutes better than expectations and was the first Master overall. Paul said, "I felt like I had more energy, I did not experience the normal heavy fatique that sets in during the last 5K in fact I was able to pick up the pace and finished strong"
Like all of Ruth's Hemp Foods, the power blends contain no genetically-modified ingredients, no hydrogenated or transfats, no refined sugar, artificial preservatives, colors or fillers. Ruth is sampling the hemp protein blends and other hemp foods in Booth 530 at Expo East in Washington, DC October 15 - 17. Founded in Toronto in 1999, Ruth's Hemp Foods produces the most extensive line of hemp foods available, including bars, Omega Burgers® (soy-free veggie burgers), oil, salad dressings and SoftHemp (shelled hemp seed). They are widely distributed in Canada, with increasing US distribution. This morning Alterna Professional Haircare issued a press release announcing the launch of its new Hemp Straight Collection. Included in the trio of products is Alterna's Hemp Straight Shampoo, Alterna's Hemp Straight Conditioner, and Alterna's Hemp Seed Straightening Balm. 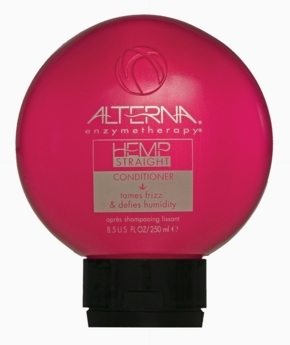 Alterna's best-selling Hemp Seed Straightening Balm has been repackaged to match the vibrant fuchsia of Hemp Straight. On Alterna's Hemp Advocacy page they encourage you to "Learn more about hemp and Alterna is certain you'll become an advocate too." 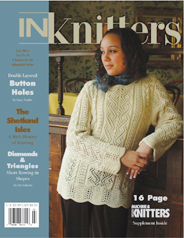 INKnitters has a story on "Knitting with Hemp" by Donna Druchunas in their Fall 2004 issue. There is a lot of very good basic information in the story, though it is much less technical than the story "Fiber Basics: Hemp" by Janet Szabo in Spin Off magazine. There are many things that are covered in the very well illustrated four page layout. The headings in the story are: What is hemp?, Hemp is Controversial, Historical Uses for Hemp, From Seed to Yarn, Tips for knitting with hemp, and Caring for hemp garments. There is also a very nice pattern for a "Rainbow Hemp Scarf." One of the sources mentioned for hemp yarn is Lanaknits Designs. Lanaknits has a note on their web site about info on hemp yarn pack to "Knit a Traveler's Pocket" by Nancy Bush as featured in the July/August 2004 issue of Piecework magazine. The Traveler's Pocket is inspired by medieval Islamic, northern European, and Norwegian motifs, and Nancy Bush knitted this useful travel accessory. The Hemp Industries Association (HIA) will be holding their annual convention in San Francisco, California, USA on November 3-5th. The Canadian Hemp Trade Alliance/Alliance Commerciale Canadienne du Chanvre (CHTA/ACCC) will be holding its annual Convention in Winnipeg, Manitoba, Canada on October 24th. Both conferences are being held on the heels of a dramatic "non decision" of the US government to not appeal the Ninth Circuit Court of Appeals February 6th 2004 ruling on HIA v DEA. The Court's decision stands: trace amounts of THC in hemp seed are insignificant and irrelevant, as harmless as the trace amounts of opiates found in poppy seed. The appeals court ruled that "they (DEA) cannot regulate naturally-occurring THC not contained within or derived from marijuana — i.e., non-psychoactive hemp products — because non-psychoactive hemp is not included in Schedule I." With the window for legal appeals now closed, a three year controversy has been put to rest and the North American industry can move into the nutritional future. "The decision has settled the question of Hemp Foods products, and their availability in the large US market," says Steve Levine, President of HIA. "People working with industrial hemp now and new players interested in hemp should position themselves for strong growth in the immediate future." "With the open market, we expect new opportunities will arise fairly quickly," adds Arthur Hanks, Executive Director, CHTA. "Planning for the next agricultural year begins now." Recent SPINS market data shows that hemp food sales in the United States grew at a strong 66% over the last calender year. With a clear legal situation in hand, and the growing sophistication and capabilities of the hemp food industry, industry analysts are predicting a robust increase for 2004-2005. Hemp foods are gaining more and more recognition from nutrition experts due to their high concentration of Omega-3 and Omega-6 Essential Fatty Acids, strong digestible protein profile, soluble and insoluble fiber content, and host of vitamins and minerals. Chefs and consumers are enjoying Hemp because of its pleasant nutty flavor. Shoppers are discovering a wide range of tasty and nutritious products at leading health food stores. The majority of hemp food sold in North American is sourced from family farms across Canada. "Demand for hemp food is the driver right now for Canadian production," says Hanks, "As demand for seed and seed products increase, so does farming opportunities for this sustainable crop and with these, new opportunities for developing novel fibre products from hemp straw in such uses as nonwovens, composites, building materials, textiles as well as specialty paper. " The Canadian Hemp Trade Alliance/ Alliance Commerciale Canadienne du Chanvre (CHTA/ACCC) is holding its 2004 Conference and Annual General Meeting in Winnipeg, Manitoba on October 24th, 2004 at The Fairmont Hotel.